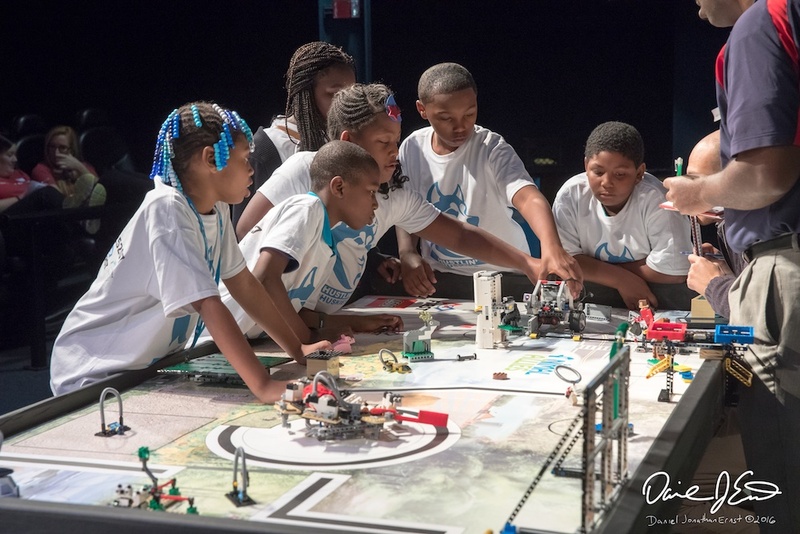 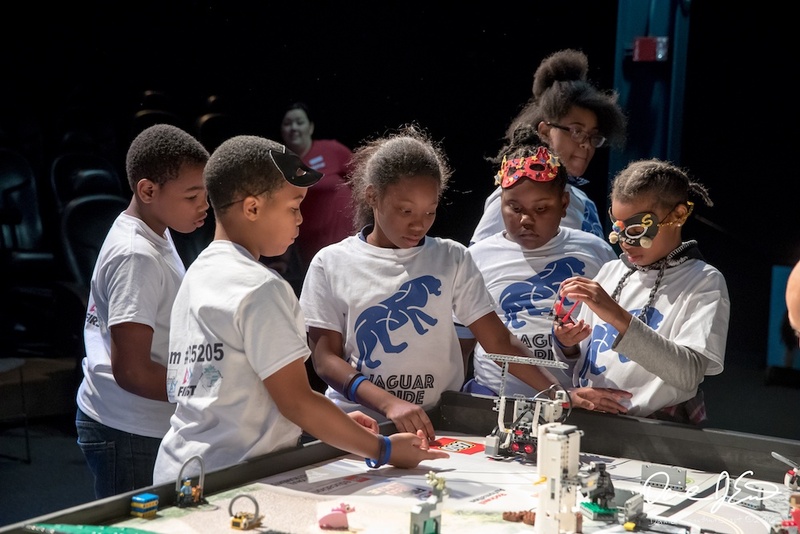 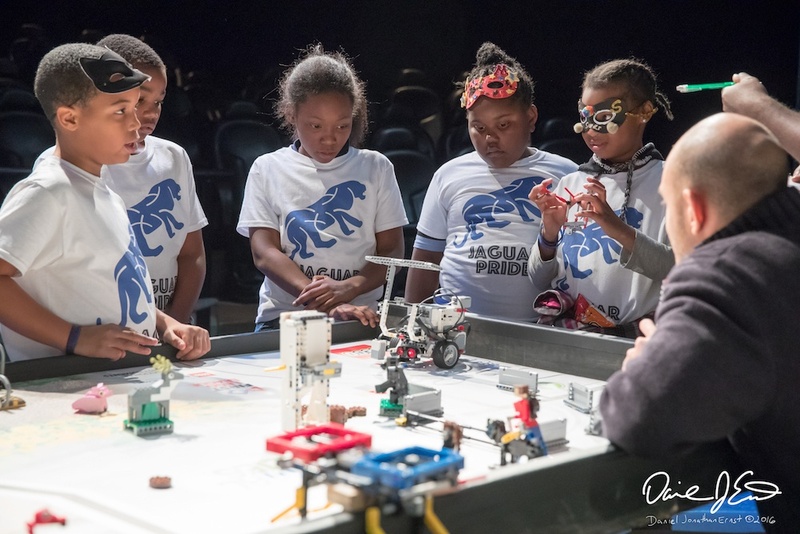 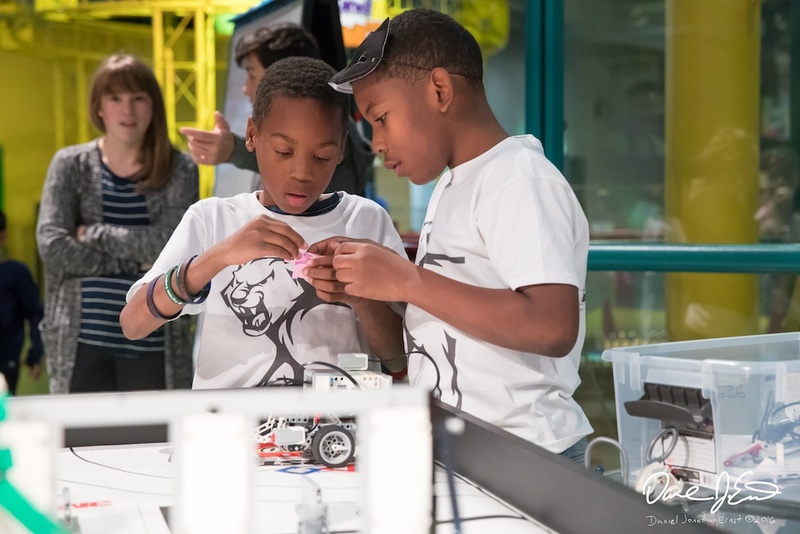 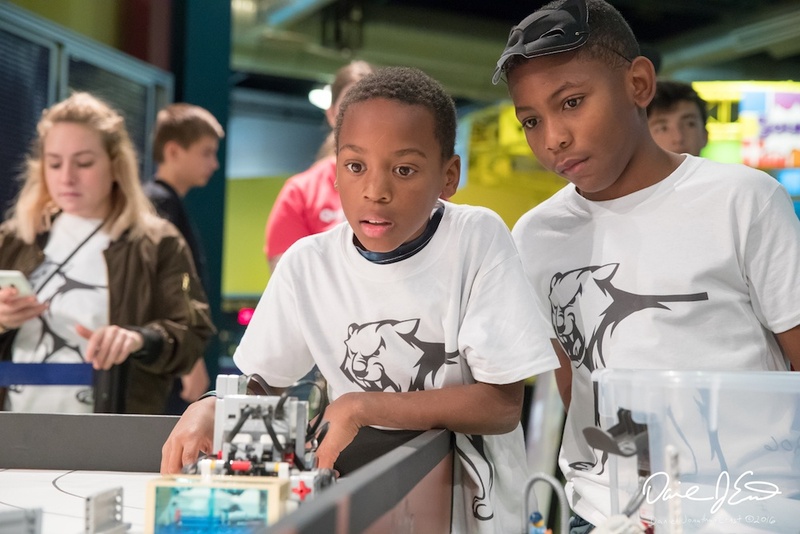 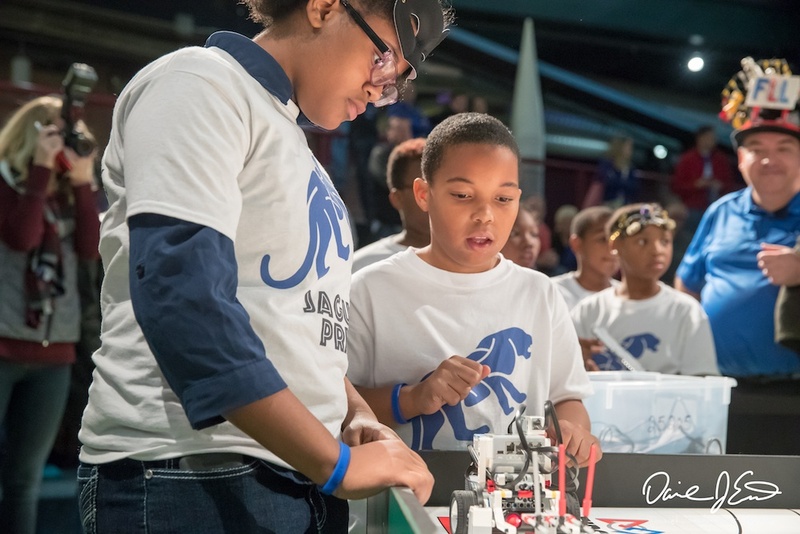 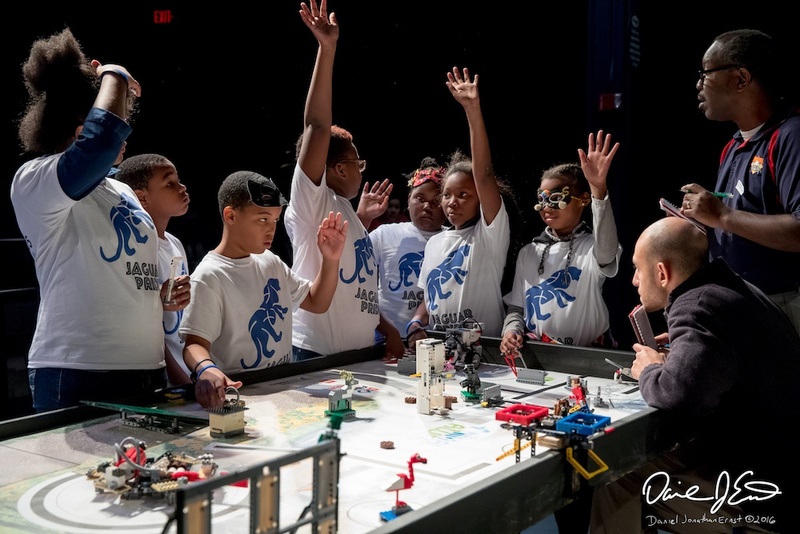 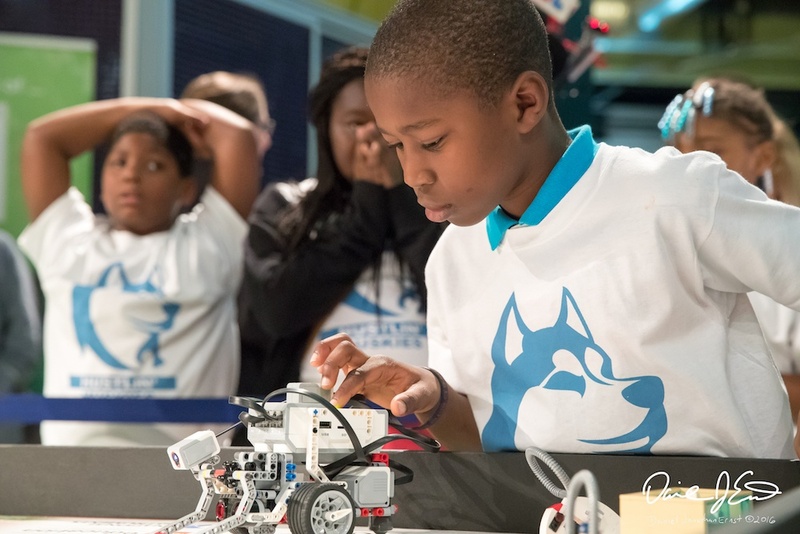 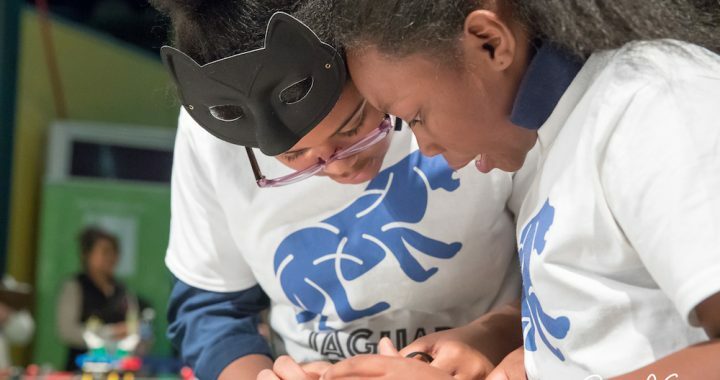 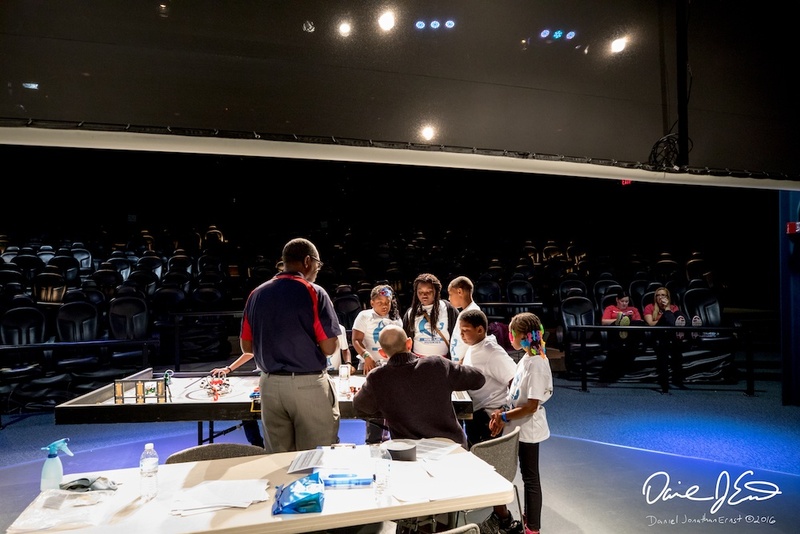 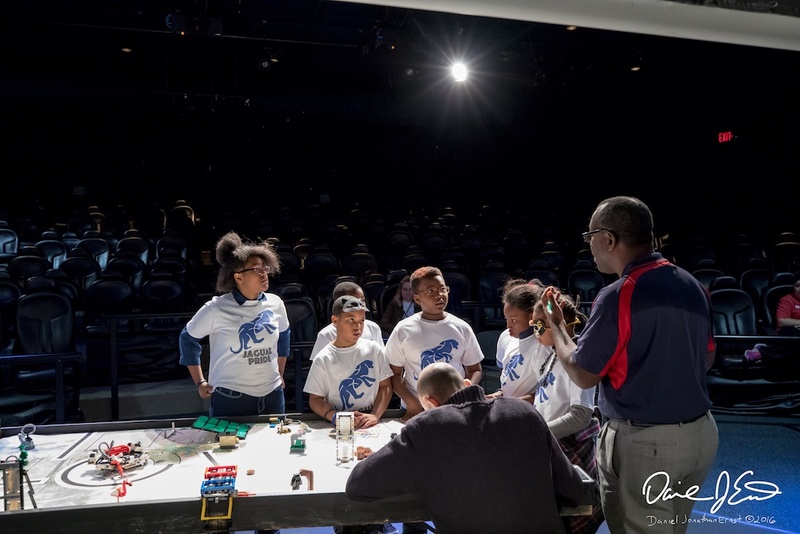 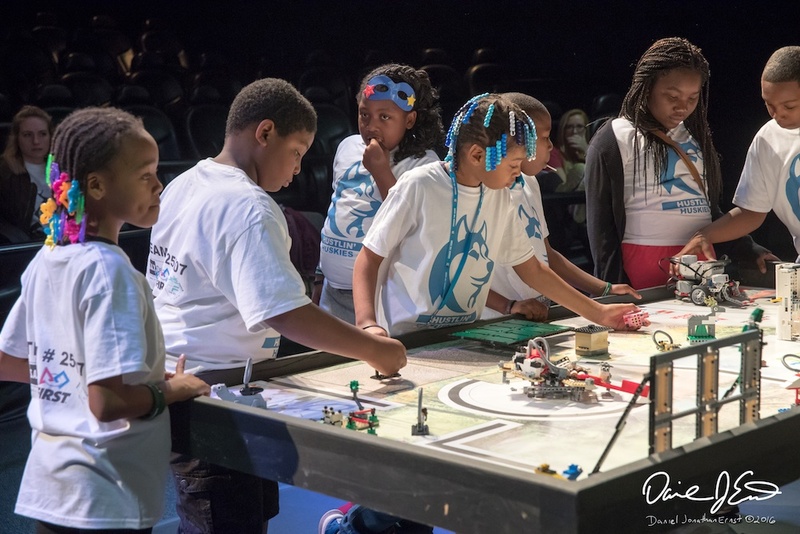 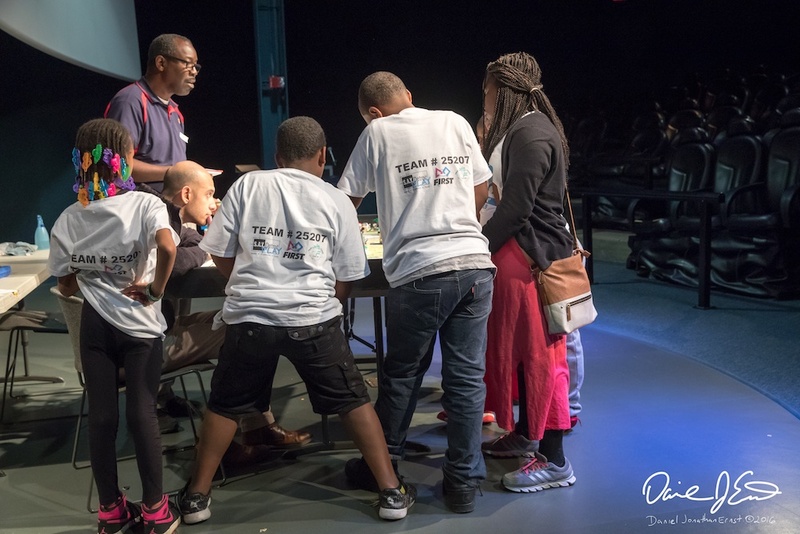 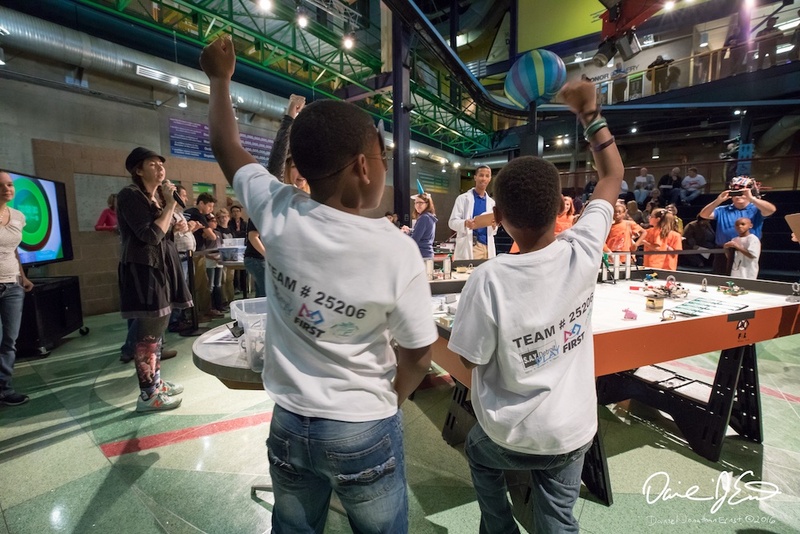 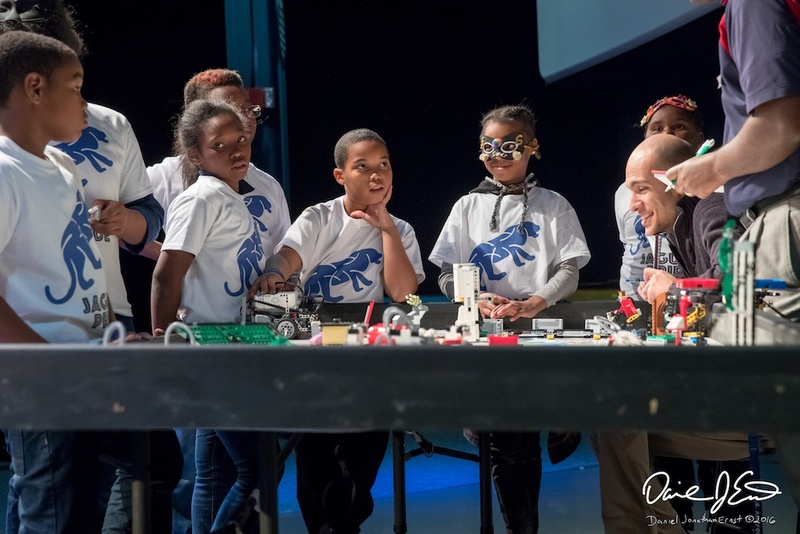 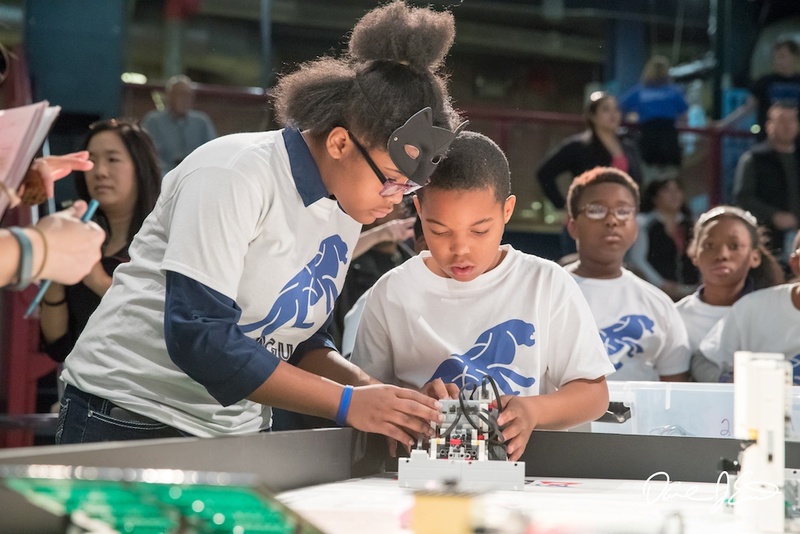 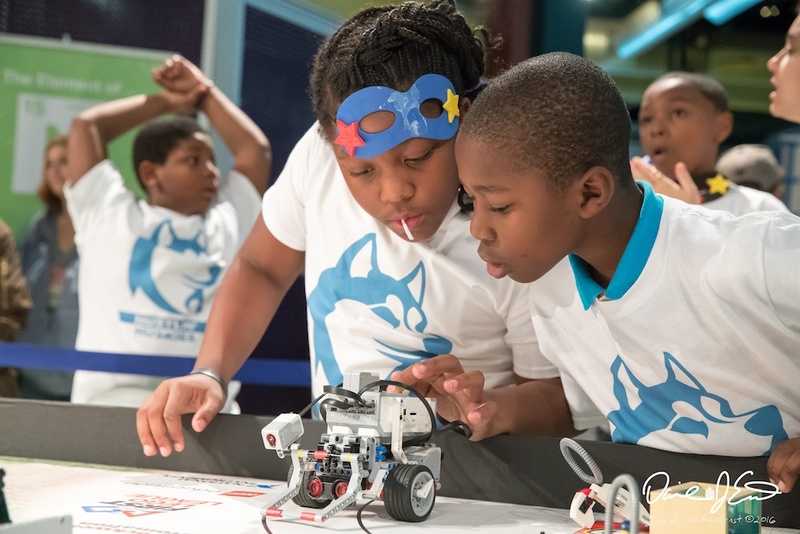 Saturday, November 12 was an exciting day for three Warriors teams who competed in the FIRST LEGO League qualifier event, hosted at the Michigan Science Center. 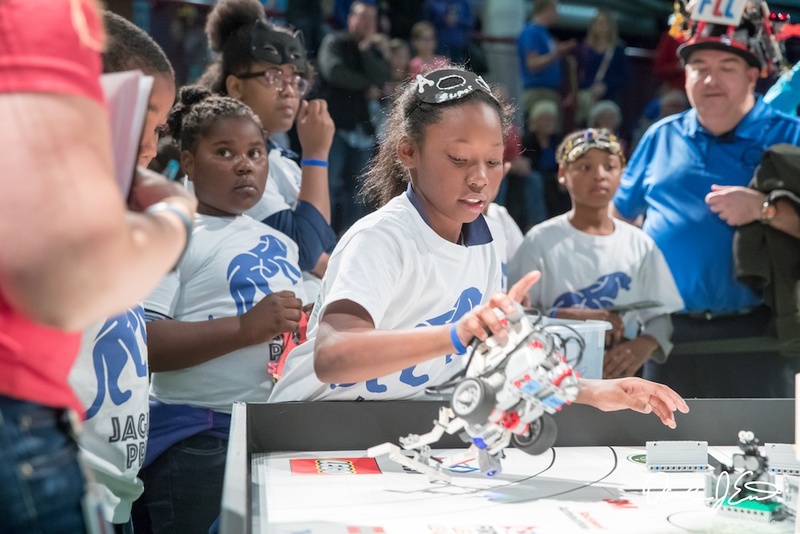 From 10:00 am to 6:00 pm, 24 teams from 14 cities in southeast Michigan took part. 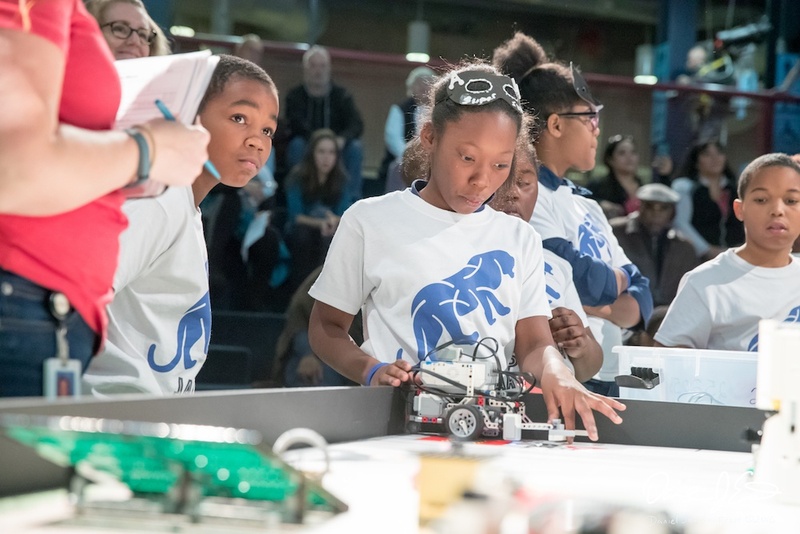 In the 2016-2017 qualifying tournament system, teams received one robotics challenge and one project challenge centered on the animal-human relationship. 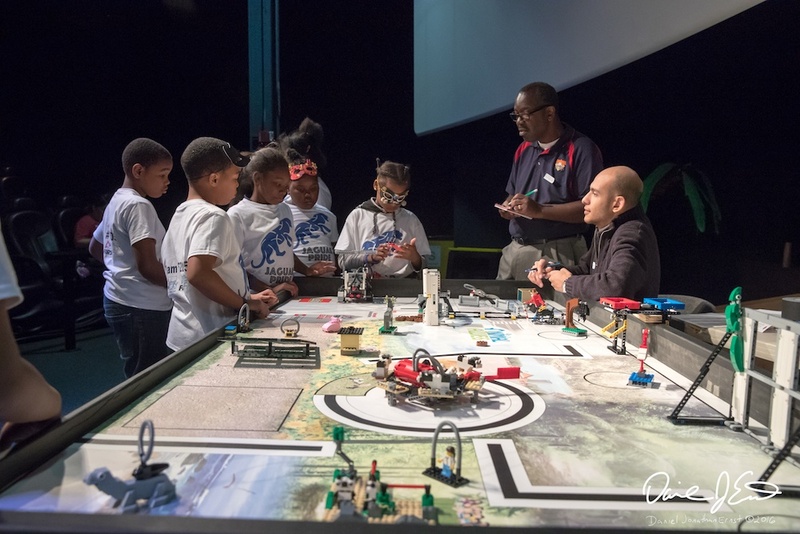 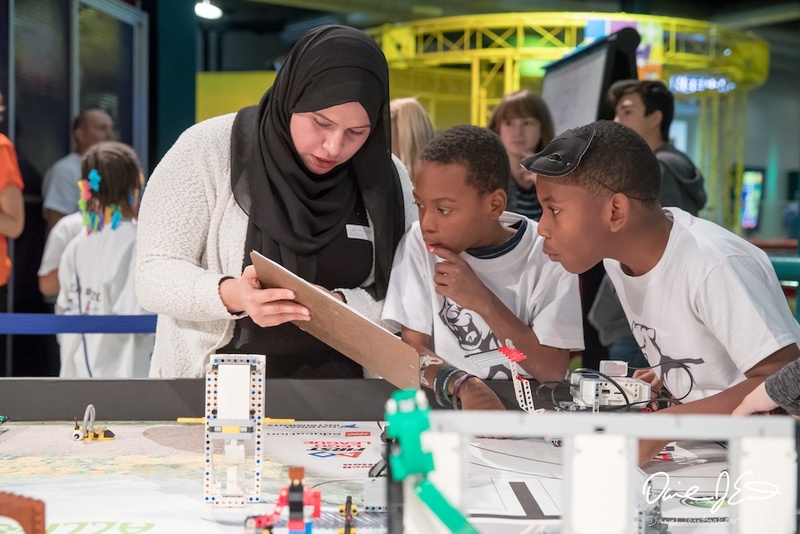 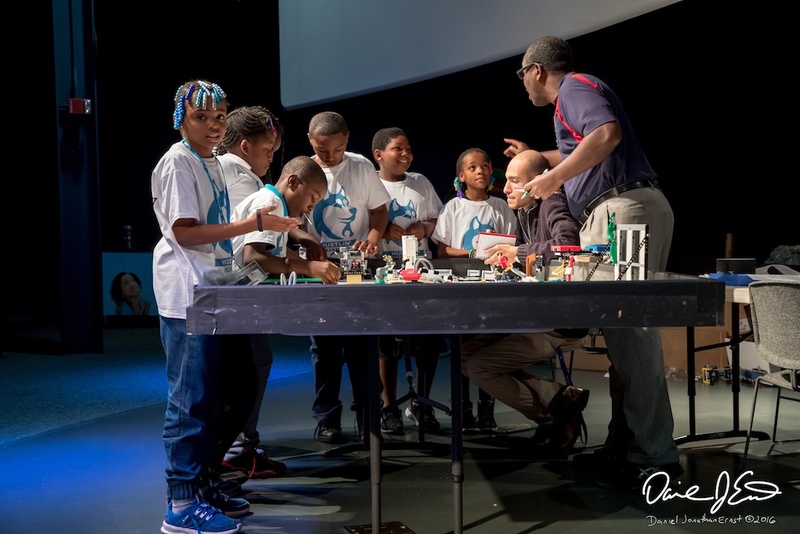 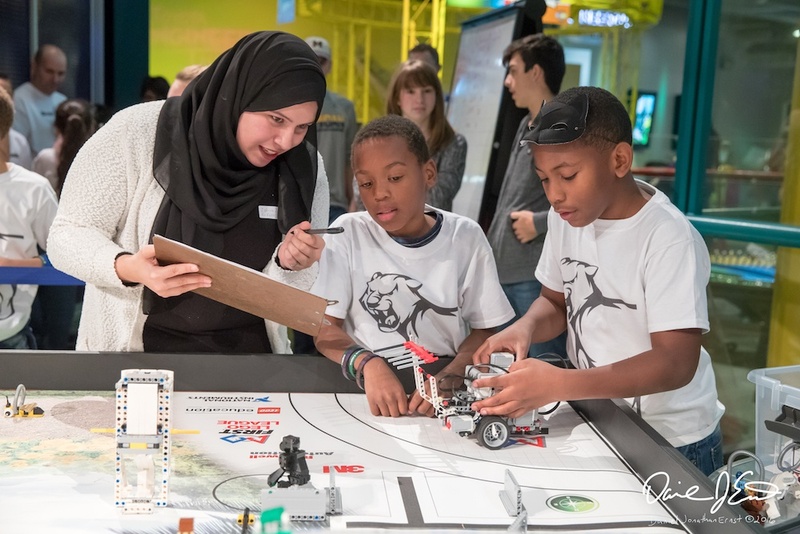 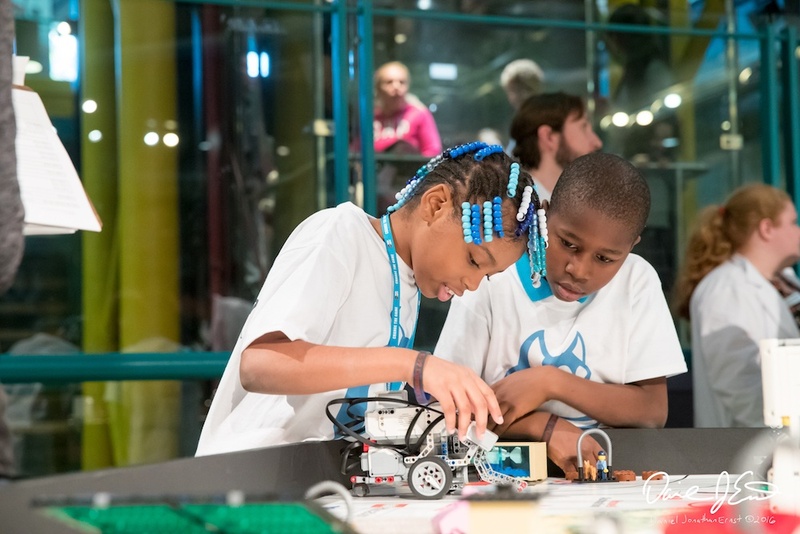 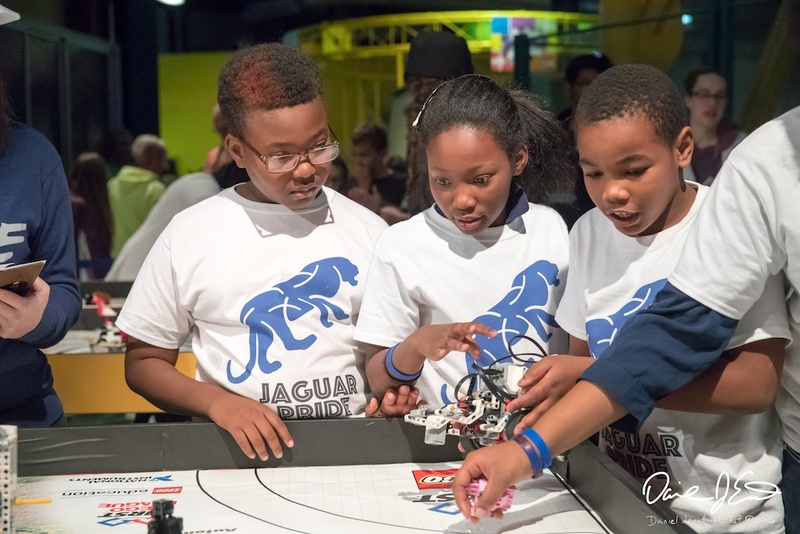 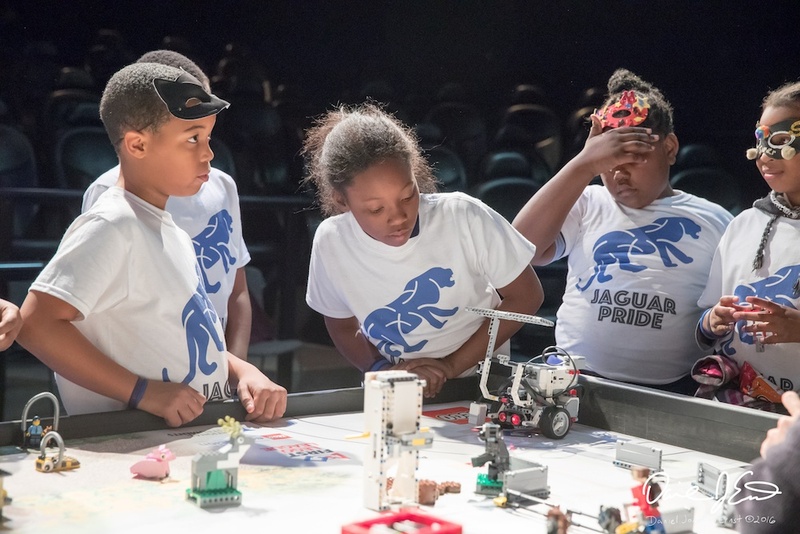 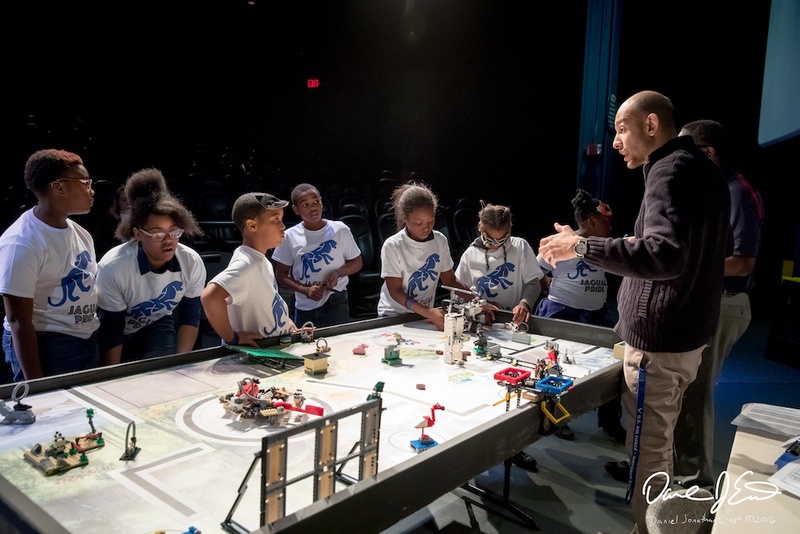 They had to develop an autonomous robot using the LEGO Mindstorms kit to score points on a themed playing field in the Robot Game, as well as research, develop, and present a solution to a research problem. 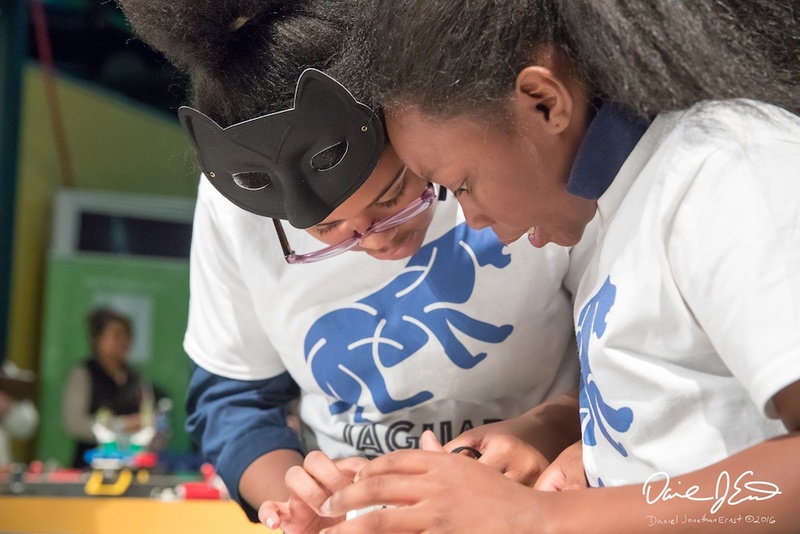 Identify a problem that happens when animals and humans interact. 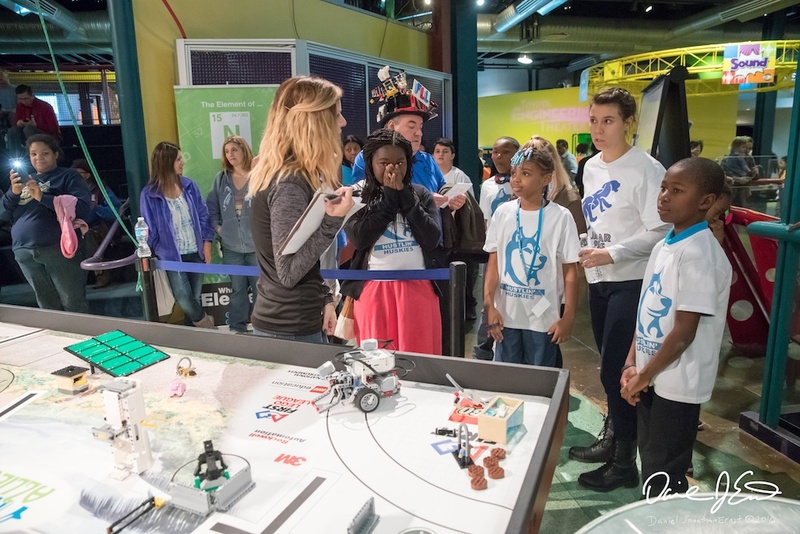 Design an innovative solution that makes the interaction better for animals, people, or both. 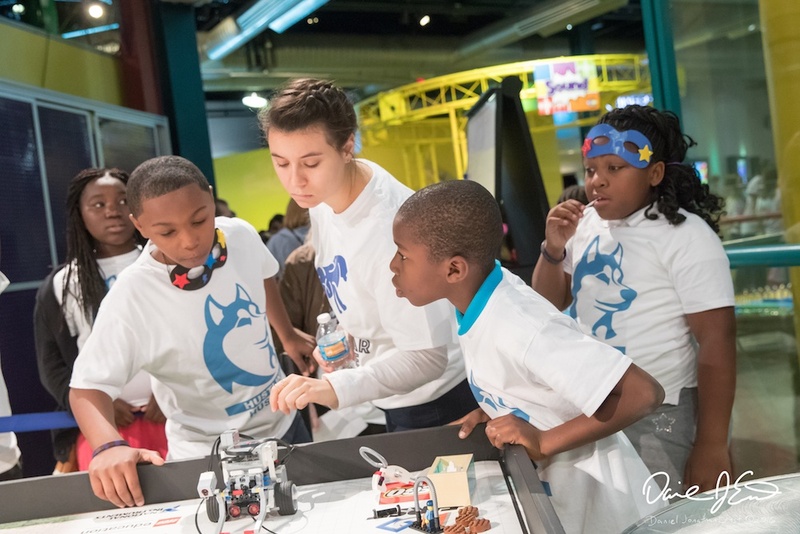 Share their problem and solution with others. 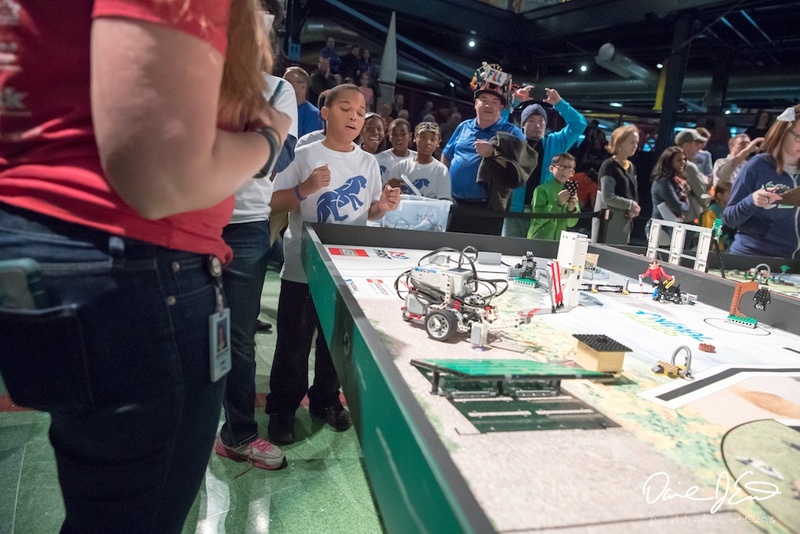 Build, test, and program an autonomous robot to solve missions on an obstacle course.